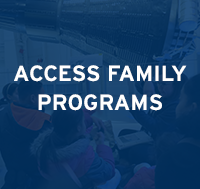 The Intrepid Museum offers Early Morning Openings and Sensory Friendly Evenings for individuals with autism eight times a year. By opening its doors early for children (ages 3-18) and their families or keeping the doors open at night for teens (14+) and adults, participants can experience the Museum in a sensory-friendly environment. In the morning, educators lead short, interactive tours designed for all learners, as well as drop-in art activities and structured social/play opportunities. In the evening, specific areas of the Museum are open for self-exploration. Programs are free but registration is required. To register, please follow the Eventbrite registration link. Registration typically opens one month in advance. 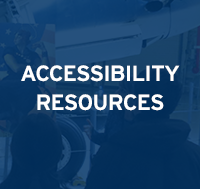 If you have any questions, please contact access@intrepidmuseum.org or call 646-381-5158. Superheroes are not just in the comics—they are also in our communities! 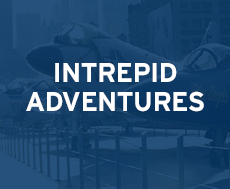 Learn about the real-life heroes of Intrepid and the superheroes they inspired. Explore the Intrepid Museum after hours during a fun sensory-friendly evening with friends and family. The flight deck of the historic aircraft carrier will be open.